Leadership is the oxygen for any organization to sustain health and growth in the global marketplace. The 4 A’s of Leadership for business program provides the framework and tools necessary to ensure leaders can build and sustain growth for the business they are fortunate to lead. 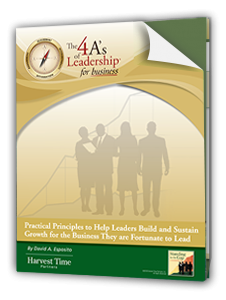 Get the FREE report on The 4 A’s of Leadership for Business and subscribe to weekly updates from our blog.